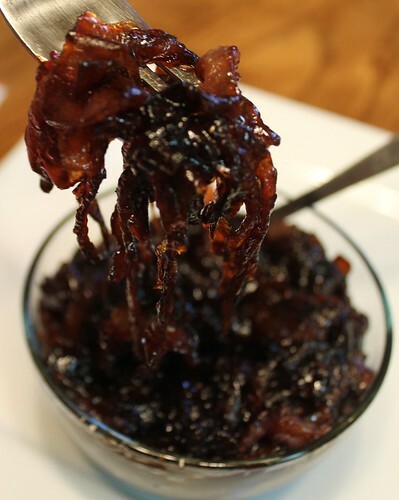 This entry was posted in Recipes and tagged brown sugar, carmalized, Chicken, condiment, red onion marmalade, red onions, relish, salads by Nance. Bookmark the permalink. Yay! I can’t wait to make them myself! I’m going to get me some masking tape and go to town one of these days because I wanna be as fancy as you! Yum! This intrigues me. I’ve truthfully not heard of it before (maybe it isn’t a Canadian thing?) but it sound delicious! I think I’ll make it to go with Easter dinner. Oh, I bet it would be good with ham or something like that – I never thought of it! Thanks! you surprised me! Judging just on name alone, I was expecting something akin to jalapeno jelly, only, you know, with onions. But this looks interesting. Definitely going to try it soon. And PS — I use the same salt and pepper grinders, and you’re right- they rock! We use the same S&P shakers because WE rock! And I really thought it was some type of jelly too. I did hear that some people use it on their english muffins, but I can’t get behind that for some reason. It is really good! This is new to me and looks quite tasty. 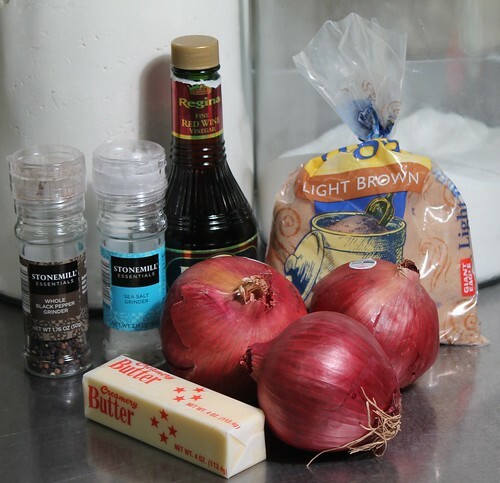 You also gave me some ideas on how to make liver and onions even more delicious. I have never in my life eaten liver and onions. Blech. I know I need to because they say it’s chock full of iron, but eh, I just cannot do it. I blame my mother for never making it when I was growing up. Maybe had I not known what it was I would have liked it and it wouldn’t have mattered. Yup, all Shirley’s fault. That’s the answer! Think it is better with savoury brown onions. Think liver and a sweet onion sauce might be a bit yuk!!! I am that idiot cook that needs the onion demonstration because I have avoided dealing with them as much as possible. I hate the smell of them and the way they blind me while doing it. I know people love the smell of frying ones, to me walking past a steak shop in Philly was nasty. I’d hold my breath because the smell reminds me of body odor. 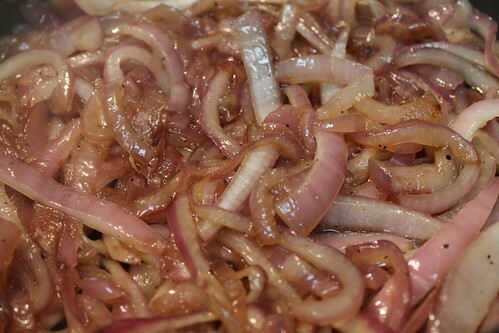 I do like some fried onions know with age but I take the lazy way out and use frozen already chopped up ones. If I made this my husband would die of happiness, the man LOVES onions. It sounds good. 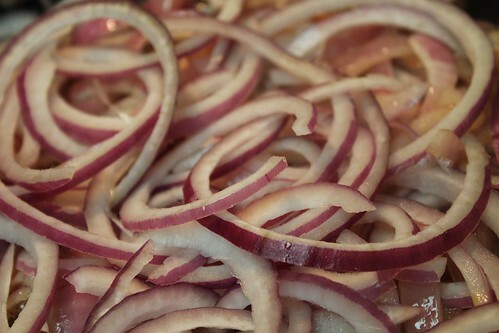 I need a better knife and is it true you can peel the onions and put them in the fridge and it helps with the not blinding from the awful eye burning thing? Know for now-WTF? I proofed it too and never catch it until I post! Crap! 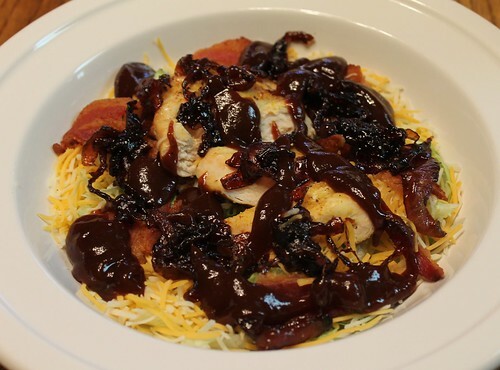 This looks delicious – esp on top of the salad. 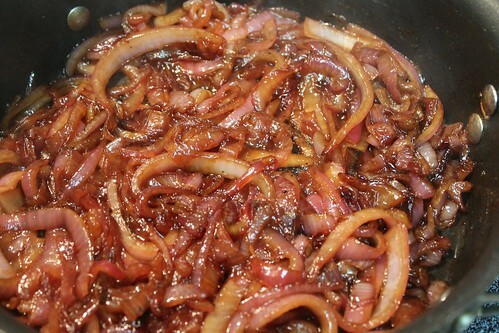 My mother made us liver and onions as kids and gawd, still hate everything about it. We used to try and choke it down covered in ketchup or mustard or both, but that was an experiment doomed to fail (and I still hate the smell of liver cooking). Now my mom only eats it when we go out – like to Luby’s (cafeteria restaurant) or someplace fancy like that. This looks great. Do you need to eat it right when it is made or can you put it in a container and keep it for awhile? This is awesome, I live in South Africa and have had it a couple of times, just need to wait till it cools down to taste it. Making this for the second time. I like to make roast beef sliders heated in the oven with mozerella. Take them out and add some blue cheese crumbles and red onion marmalade to the top! Awesome sliders. 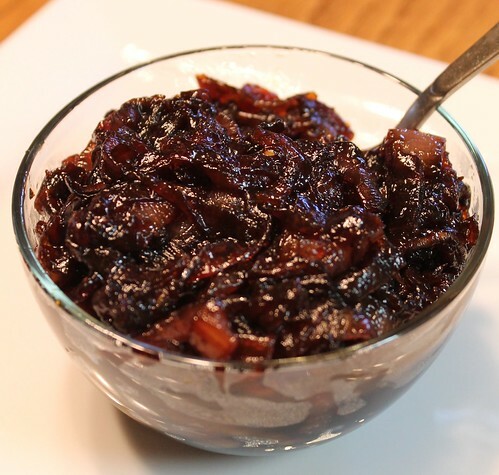 Hi there, i LOVE onion marmalade and need to make my own since i go through so much! 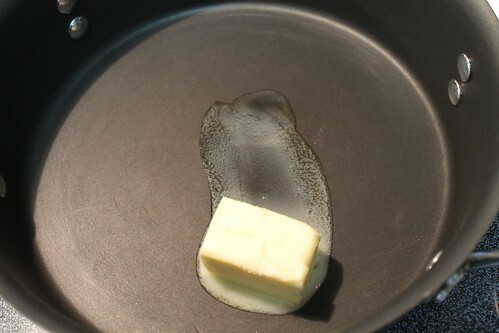 Just wanted to ask… when you say’These are meant to be cooked slowly’ how long do you mean? 20min, 30min,40min? Sorry I just want to get it right.